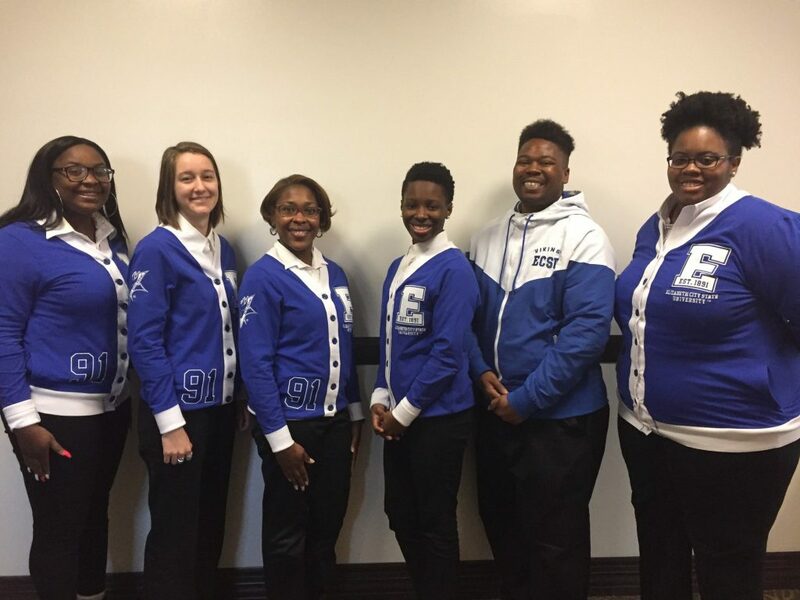 Students competing on this year’s ECSU Honda Quiz Bowl team are, left to right, Jasmine Roundtree, Brenna Daniel, team coach Yolanda Carcana, Nyla Harris, Michael Pope, and Arrhia Palmer. 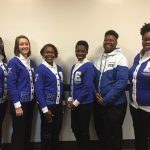 The ECSU Honda Quiz Bowl team competed in the National Qualifying Tournament on Saturday, Feb. 9 at Virginia State University, and now it’s time for you to help send them to the Nationals. To help ECSU secure a spot in the Nationals, you can vote HERE. You can vote up to three times a day now through Feb. 13. The three top vote-getting HBCUs will automatically advance. Students competing this year are Jasmine Roundtree, Brenna Daniel, Nyla Harris, Michael Pope, and Arrhia Palmer. Honda Campus All-Star Challenge (HCASC) is America’s premier academic competition for top HBCU students. The fast-paced buzzer competition highlights students’ academic prowess and ability to answer questions about history, science, literature, religion, the arts and pop culture. ECSU is one of 65 teams competing for institutional grants and a spot in the HCASC National Championship Tournament taking place on the American Honda campus in Torrance, Calif., April 13 – 17. Honda Campus All-Star Challenge is a year-round program that centers on academic excellence, community service, leadership, networking opportunities and mentorship. It includes campus engagement, qualifying tournaments and culminates with the National Championship. Since 1989, Honda Campus All-Star Challenge, one of Honda’s longest running philanthropic initiatives in the United States, has celebrated and recognized the academic talents of HBCU students. More than $9 million in grants from Honda have provided support for scholarships, facility upgrades and other investments to improve the student experience.